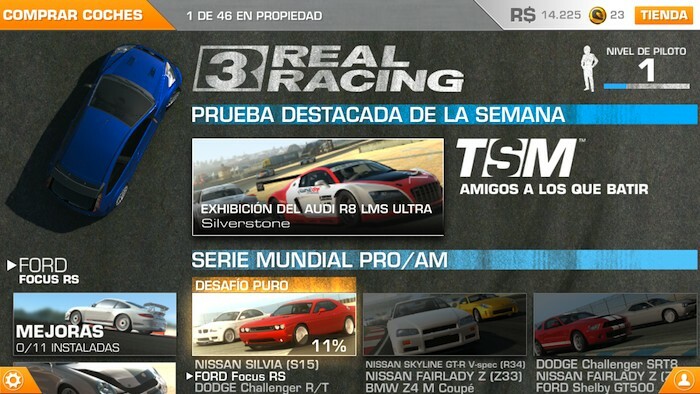 Finally the day has come, Real Racing 3 is now available in the App Store and free! people of EA and Firemonkeys has decided to change the form of marketing, so now we would get a free game with touches of "game time "in which we can make micropayments to move faster and no wait, buy better cars and unlock new competitions. 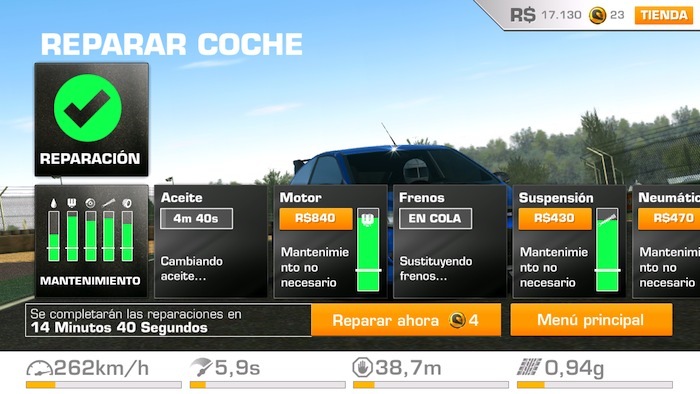 So we could play, we expect to find them in the hour of maintenance for our car, having to change the oil, fix the engine or tires. Besides paying (with the money we earn in races), we have to wait X minutes until a refueling takes place, unable to compete again until then. This new freemium may not like a lot of people, preferring to pay a fixed amount and forget about waiting times or micropayments. Removing this "small" handicap, we are facing the best racing game we've seen, not only in the App Store, but in any application store for smartphones and tablets. 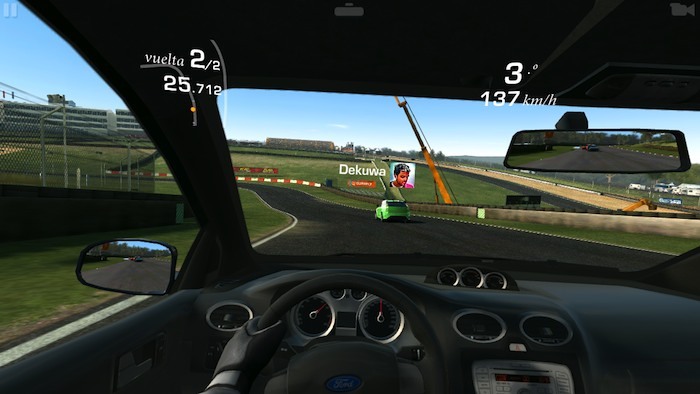 Thanks to remarkable new Mint ™ Engine 3, Real Racing 3 reproduces lasting damage to your car mirrors fully functional and dynamic reflections to represent the reality of the race so supermejorada. Enjoy this rich set of new generation, their diversity of social and community platforms of competitors. Real Racing 3 has it all. The game allows to select among multiple control setsWe from the typical accelerometer that makes use of automatic acceleration until completely manual handwheel screen 5 through other possible configurations. In our case, we have chosen the default one, using the accelerometer for turning and tapping the screen to stop, and we must say that the control is totally accurate and comfortable. Also new in this third part, is the social gaming system, can compete against any of our contact with the game Game Center installed. You've never seen anything like it: with our innovative Time Shifted Multiplayer ™ can compete with anyone, but not connected! Each test is completed doubles your Facebook or Game Center and others, all AI-controlled and fully interactive. 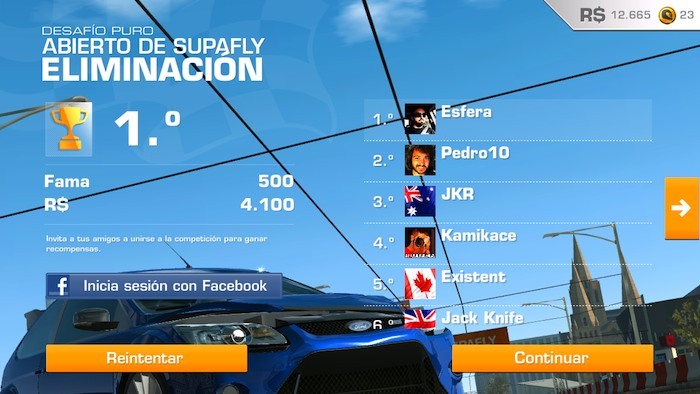 In this way, we are on track with our friends but at that time not connected, allowing us to play against "real people". This will make the sprints are over, because you will not find a simple bots controlled by the game itself. 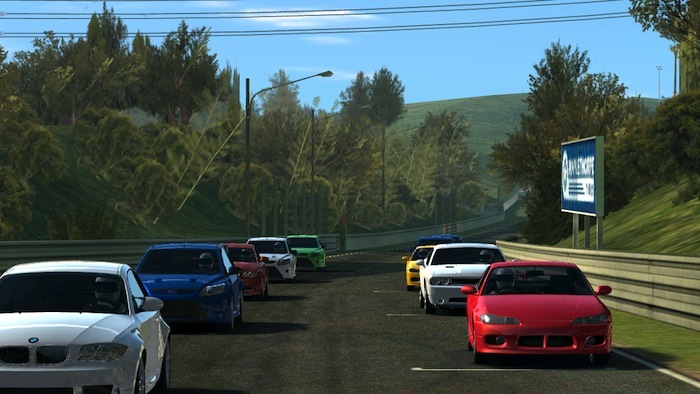 The game allows up to 46 vehicles get totally real, with models like Porsche, Lamborghini, Dodge, Bugatti, Audio or Ford, to play over 900 different events on tracks such as Laguna Seca, Spa-Francorchamps, Silverstone and Hockenheim. Among the types of events, we will use race, elimination, 1 Vs 1, Cups, drag racing, endurance, speed ... So we'll have variety to not get bored. 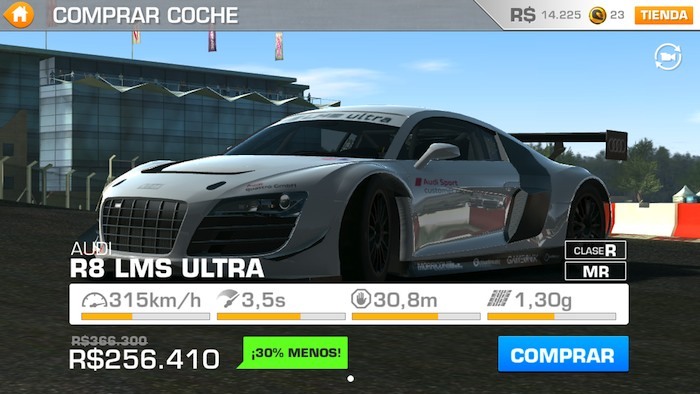 Real Racing 3 is universal, so you can download it on iPhone, iPod Touch or iPad, as we have said, for free and test what you think the new freemium. For our part, I highly recommend it, because they rarely have seen anything like it on a mobile or tablet. This brand cars are really classy and fantastic to drive. But in case while owning this car if anyone face any kind of problems can have solution with the help of free auto repair manuals pdf of Porsche.